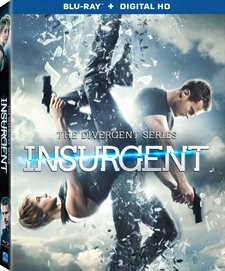 Download Insurgent in Digital HD from the iTunes store. 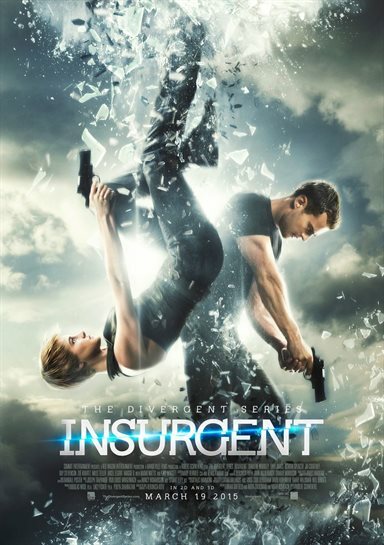 Insurgent images are © Summit Entertainment. All Rights Reserved. Insurgent, the second in the trilogy by Veronica Roth's Divergent series, hits stores Tuesday, August 4, on Blu-ray and DVD. In the ever present quest for commercial dominance, I'm sure this Blu-ray will fare well based on the popularity of the book series and the stars of the movie. The film picks up pretty much where the first one left off, with Tris (Shailene Woodley; The Fault In Our Stars), Four ( Theo James; Underworld: Awakening) and a few other "rebels", running from Erudite, Dauntless troops and Jeanine (Kate Winslet; Titanic). From there, the story gets a little muddled. The movie focuses on a mysterious box full of secrets that can only be opened by the truly exceptional divergent population. However, each divergent that tries, dies in the process. Jeanine knows her only chance to get inside that box is to use Tris and she will stop at nothing to get Tris to surrender herself. Added to the plot, are several sub stories. We see Tris struggling with the loss of her parents while she navigates her new-found relationship with Four, and her fractured relationship with her brother Caleb (Ansel Elgort; The Fault In our Stars). Also, Four has to find a way to make peace with his long presumed dead mother. Meanwhile, the faction leaders are trying to find their place in a new order since the murder of most of Abnigation. While there are numerous stories happening throughout the movie, none of them help to make a cohesive plot and it all gets very confusing, especially if you haven't read the book. The story diverges from the original book and ends up being mediocre at best. There are too many details and the story of the mystery box really doesn't make much sense. Also, the message at the end is completely different from the book, which means the studio has written a story that isn't even remotely close to the third book in the series. The cast is decent, but not exceptional. Woodley is fairly strong as she transitions from a quiet introspective young woman to a strong, self-reliant adult. If she weren't at least a good actress the movie wouldn't work at all. As it is, even the actors can't help rescue the plot. The Blu-ray is full of extras that any die-hard fan will want to watch. With over four hours of behind the scenes footage, there is a fascinating story being told that is possibly even better than the film itself. The 1080p high definition video is crisp and clear and the blacks of Candor and the green fields of Amity are equally sharp and vibrant. The English Dolby True HD Atmos is the latest technology and better quality than it's predecessors. Each gun blast is loud and simple conversations are presented beautifully. The four hours worth of extras are the real addition that makes owning this movie even slightly worthwhile. If you are a fan who wants to have the complete set, then by all means, go out and buy it, but otherwise, this Blu-ray is one that doesn't really need to be purchased if you already saw it in the theater. 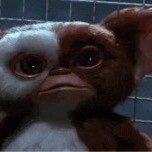 Freaking out over this movie!!!? Can't wait. ???? Damn, Shailene is so gorgeousss??? ?